If there's one thing you'll see me wear this summer, it's got to be the ever popular romper, otherwise known as playsuits, Despite the fact these one-piece garments make it slightly less convenient when it comes to going to the toilet, still...you can't help but adore them. 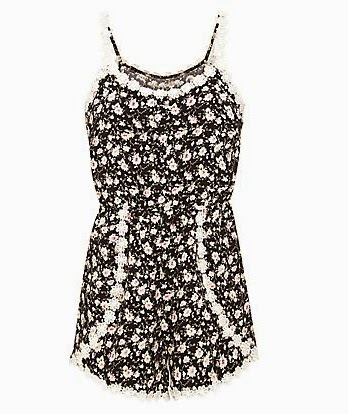 To me, a romper screams summer and I can guarantee the minute the sun is out, my romper comes out. 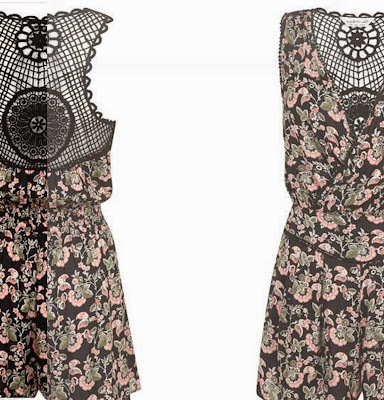 Here are a few of the, in my opinion, most adorable playsuits on the high street (the internet) at the moment. What I love about this play suit is that it's subtle. The colours aren't too overpowering, but at the same time such an intricate level of detail has been applied. From the floral print to the crochet flowers, everything about this one-piece just screams 'Buy Me' and, in a few weeks, that's exactly what I'll do. What I love about this playsuit is the elasticated waistband, I think it really brings the whole look together, and this, coupled with the crochet back detail really compliments the boho vibe I think is being portrayed. 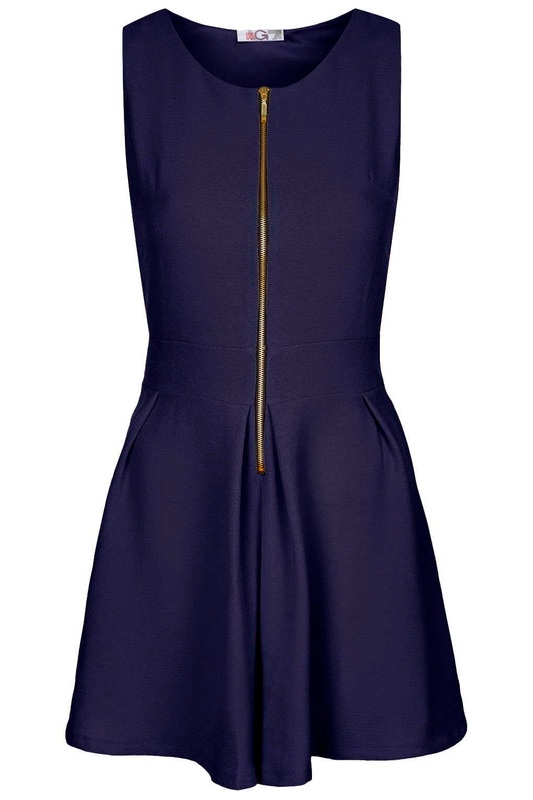 What I like about this playsuit is it's versatility. You can dress it up with heels and statement accessories, or wear it casually with a pair of gladiator sandals and denim jacket. I'm also really loving the strap detail around the neckline, it adds a nice touch to a simple yet pleasant piece. 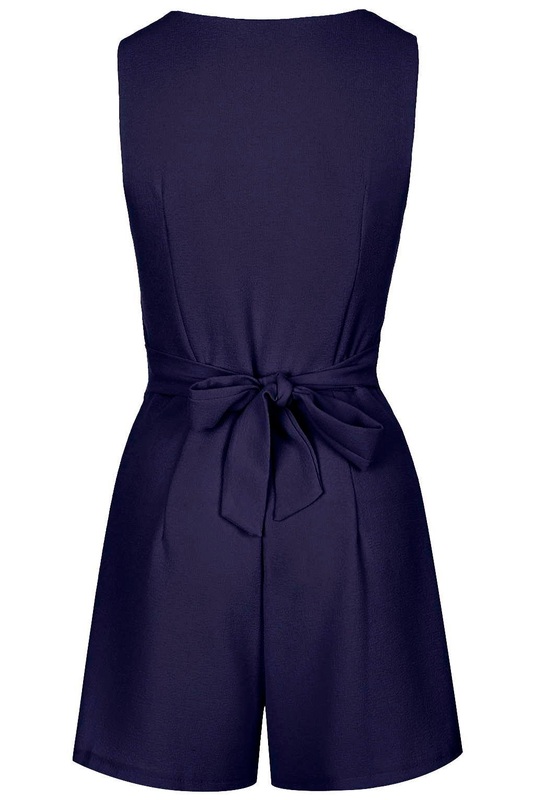 What I like about this playsuit is its simplicity. Another aspect I adore has got to be the wide symmetrical sleeves. I personally dislike my collarbones and what I love about the sleeves on this is that it covers this up. The gold zip and bow-tied back really add a statement to this piece. These are just a few of the eye-catching playsuits/rompers that I've seen about lately and they're already making me gleam with excitement for summer. 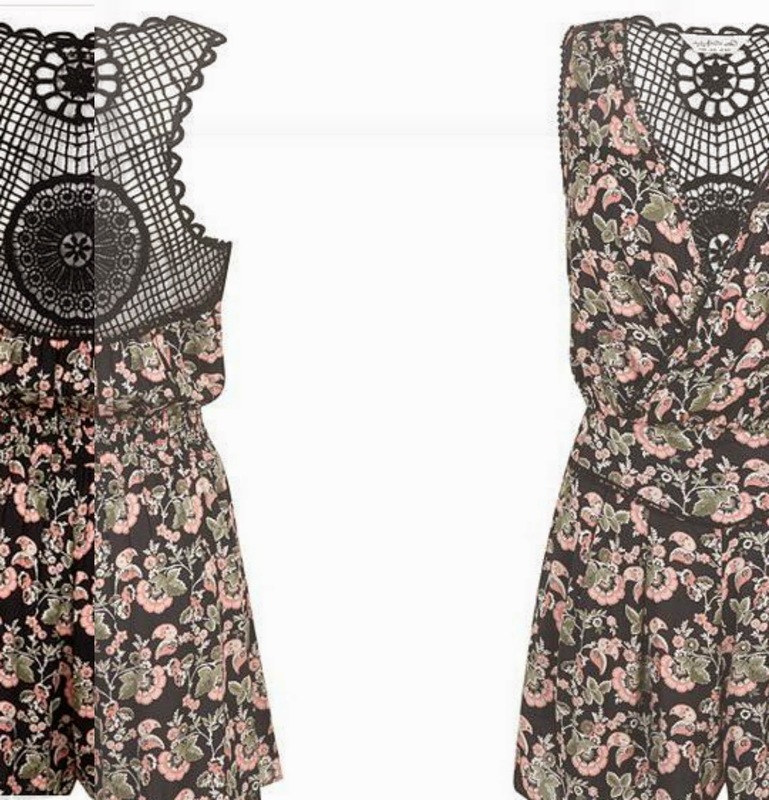 Are you looking forward to wearing your romper this summer? Let me know a few of your current faves in the comments below.